Note that Peter (PeterGunn ?) 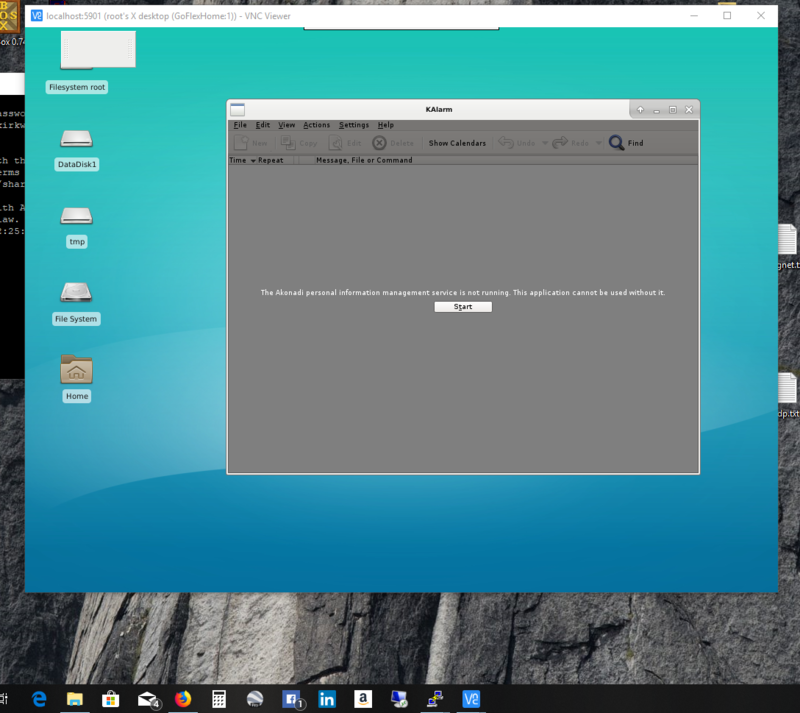 had posted about setup and using Fluxbox desktop with VNC. This instruction will show how to install and run XFCE desktop with either RDC or VNC client. - Log in using the Pogoplug root and root password. If you have a different user setup, then that user/password should be used to connect. A VNC client can also connect to the Pogoplug in a similar way. XFCE desktop is very lightweight, and it should run with the typical Pogolug which has 128MB RAM without problem. With xfce desktop, you can add system CPU meter, memory meter, and swap meter on the xfce panel to monitor the usage. - Have a swap file size at least 512 MB on a hardisk (USB flash is OK too if zswap is used). - Use zswap (see the latest Kirkwood or Oxnas kernel threads in my signature for installing these zswap-supported kernels). This will help a great deal whether the swap file resides on USB flash or HDD drive. - Set swappiness to 10 or less. Edited 2 time(s). Last edit at 05/08/2015 01:36AM by bodhi. Wow great job, thanks a lot bodhi. On PogoPro it seems real good; still fine tuning it. Edited 1 time(s). Last edit at 05/10/2015 09:53AM by JoeyPogoPlugE02. I have installed this as well, and it is working. Only issue was in step 2 when I went to save the xstartup file there was no .vnc folder to save it to so I had to create that. I am interested in your zswap point above though. I have looked through the Kirkwood and Oxnas threads and each only mentions Zswap once and really gives no instructions. Do I need the 3.12.something or other kirkwood kernel to have zswap? I have 3.18.5 jessie version installed now. If this version does have zswap what do I need to do to set swappiness? I run Debian from a hard drive on my GoFlex Home if that information ishelpful at all. > I am interested in your zswap point above though. > really gives no instructions. If you've installed the latest u-boot, you can put the definition in the uEnv.txt so it will be loaded automatically, without changing u-boot envs permanently. See section D in my instruction for the latest u-boot release. > need to do to set swappiness? To set swappiness, set the vm.swappiness to a number of your liking and reboot. For example, this is the sysctl parameters for one of my NASs. Edited 1 time(s). Last edit at 05/23/2015 03:32PM by bodhi. I have made the changes, how am I sure it is working? I checked htop and did not see it in the process list, I did see 'kswapd0' though. Should it be there or would I have to peruse the log to see if it started? Swappiness is just a characteristic of swap. You will not see it. As long as you have set up swap, it will be in effect (how often the kernell performs swapping when it determines some process memory is needed to be swapped to disk). To see zswap running, look in dmesg. It should show that zswap started and allocated pool. Next, turn on zswap, reboot, and launch xfce again, and observe the vmstat output. It should show substantial improvement in the amount of memory be swapped out. What we are really interested in seeing is less memory pages being swapped out than before. Imagine the wide open spaces of 256 MB RAM on the E02. This works perfect here and I can't imagine a Pogoplug without that option from now on. Absolutely brilliant how you've got it so the processes of the GUI are mostly not on until demand from RDP. The reason I was inspired to try this on the E02 is because of the problem solving earlier today (Pogoplug Pro) with permissions for Transmission - sometimes a GUI can help me remember what's needed. Edited 1 time(s). Last edit at 08/18/2015 11:15PM by JoeyPogoPlugE02. But seriously, IMO more RAM is almost always a better trade with small embedded Linux. There's only one thing this lacks on the E02, either a browser that supports Ghostery or a standalone file downloader that's break resistant. The company I beta test has files for me at app.box - a dropbox-style uploader that's probably real secure (and supposedly resumable but only one Windows app works and i can't afford it). > standalone file downloader that's break resistant. > Windows app works and i can't afford it). I don't use browser on these plugs, so can't tell you how good the add-ons are. But I do recall reading somewhere that iceweasel (Firefox) supports them. And usually browsers like that fly - if only Midori ran ghostery I'd be set, but Firefox and Iceweasel usually can, and in addition run nice download manager addons too, a big plus. "[ Error writing /root/.vnc/xstartup: No such file or directory ]"
Even after I rebooted the pogo. I used the exact commands, copy and paste, as above. and then onto to 2. A word of advice if you're here, if you have not created an account on your rootfs, be careful using this as you'd be using root. And with a click, click, click, it's easier to mess things up. Bohdi, I don't see my other ext4 partition, however. Remember that this rootfs is a basic rootfs. I've intentionally made it that way to keep it small and lean for an initial installation. To have all disks/partitions mounted during boot and presented to the users/application, you will need to install more packages. Automount can be set up with a few different ways in Linux. Look again in the Wiki - Debian on ARM Topics and Tutorials, you will find this topic. The xfce desktop relies on the base Debian system to show the partitions and disks. and see if you can see all partitions and disks. Heck yeah, and I went straight for RDP and don't know if VNC works perfectly fine, and I assume it does. Bodhi, probably the only thing I'd edit is to add creation of : /.vnc/xstartup early in step 2. Did the above work in Armbian rootfs ? Edited 1 time(s). Last edit at 05/01/2017 01:37AM by bodhi. Update: yes that's what I did, went in with WinSCP and it shows that's a hidden directory and file, but pasting in that way works, and then set executable with command line. 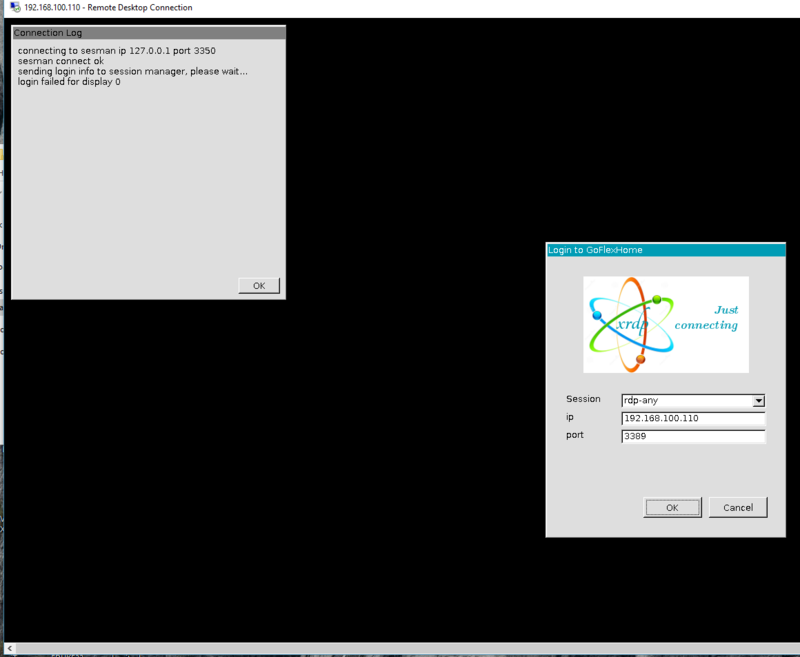 For a change I left out VNC altogether and it works fine with RDP. Later on I can try VNC from a higher quality mindset. Pretty fun stuff, and in this instance I'm A/B testing one micro SD card with Reads and Writes of 80/80 MB/sec (Sandisk Ultra Plus) with another that's 80/20 MB/sec (Samsung EVO) and the Sandisk is really nicer. Edited 1 time(s). Last edit at 05/17/2017 12:25AM by JoeyPogoPlugE02. The same credential used for the rootfs. So if you can log in with SSH, then use that. Ah, I recalled there was an error starting rdp in the recent kernels, but have not have time to look for cause (nobody has tried to install rdp latetly). If this is indeed related to the problem, I will not be able to investigate this for a few weeks. I Installed XFCE as instructed here on the wiki ( https://forum.doozan.com/read.php?2,21784 ). (i) I removed and then reinstalled tightvncserver and xrdp. (ii) I created a file /etc/X11/Xwrapper.config containing "allowed_users = anybody"
(iii) I edited /etc/xrdp/sesman.ini and changed "AllowRootLogin=1"
What am I missing? Should I have implemented some prerequisites before installing xfce? ps -deaf | grep vnc with you, did he ever do that? ) 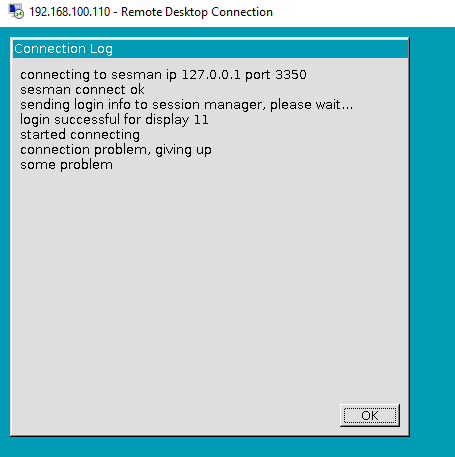 can this log be generated on my box through Netconsole? P.S.2: Upgraded the kernel to latest 4.20.6 Kirkwood package, xfce and rdp problem still persists. P.S.3. UPDATE: Got VNC to work from windows on my Goflex home box. Edited 5 time(s). Last edit at 02/17/2019 10:33AM by Navi.